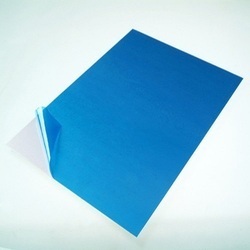 We are offering an excellent quality of Non Glue Surface Protection Film. These are used for avoiding damages like scratches and removal of paints due to transportation of products from decorative laminates, PVC, Acrylic, Polycarbonate and other sheets. Available in widths up to 2500 mm and varying degree of Peel strengths. We are manufacturing superior quality Surface Protection Film which is available in various types, in order to provide different adhesion for different surfaces. Further, it provides low adhesion, for PVC sheets, acrylic and PC sheet, polished stainless steel, colored steel sheet, Aluminum, brass plate, tiles and other smooth surface. 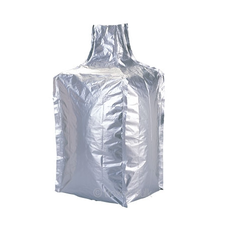 An Anti Static Liner Type L-2 is used to protect against unwanted static discharges in an electro statically sensitive environment. Our anti static liners dissipate the charges without grounding, eliminating any static build up. These Liners are made as per the latest IEC-61340-4-4 edition 2, revised recently. These can be used with Type B,C,D FIBC's. These products are ideal for static dissipative and flexible work surfaces and are available in various technical specifications to meet the wide needs of the clients. 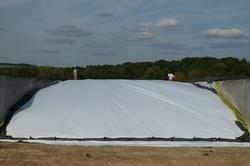 Keeping in sync with time, we are able to offer Silage Cover Film to our respectable clients. The offered range of silage covers is made utilizing high grade raw material and innovative techniques in strict compliance with the international quality norms and standards. Moreover, the offered range of silage covers is suitably checked on varied parameters to ensure that defect-free products are delivered at customers' premises.